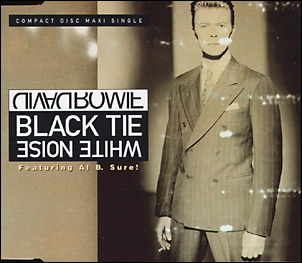 There are two variations of this single. 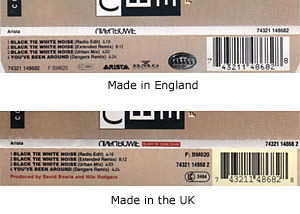 One disc is labeled 'Printed in England', the other 'Printed in the UK'. 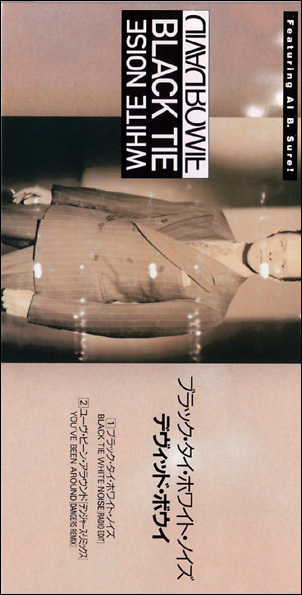 The artwork of both singles, which share an identical catalogue number, also is slightly different (bottom). 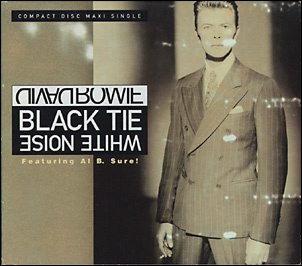 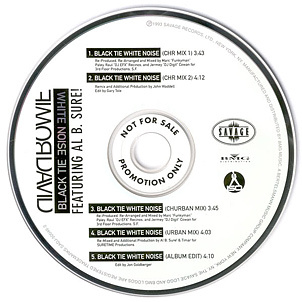 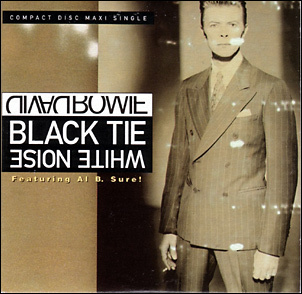 Black Tie White Noise (CHR Mix 1)/Black Tie White Noise (CHR Mix 2)/Black Tie White Noise (Churban Mix)/Black Tie White Noise (Urban Mix)/Black Tie White Noise (Album Edit).